One further proof of the evolution in Jewish-Catholic relations should come in September, when Ehrenkranz plans to take a delegation of rabbis and American Catholic bishops to Auschwitz, and then to Rome for a blessing by both the pope and the chief rabbi of Israel. The bishops will be led by Cardinal William Keeler of Baltimore, and Archbishop Timothy Dolan of Milwaukee. Plans call for the group to fly from the United States to Rome, then to Krakow, and to take a bus to Auschwitz. They will have a tour followed by a dinner inside the camp, with an open dialogue between the rabbis and bishops. Afterwards, the group will return to Rome where they will be blessed both by the pope and by the chief rabbi of Israel, who will travel to Rome for the occasion. The Community of Sant'Egidio will host a dinner for the group in Rome. "One thing I hope to explain is why the Jewish people feel so intensely about Israel," Ehrenkranz said. "For many of us, Auschwitz is what happens if there is no Israel. If you don't have an Israel, you don't have a path out. You can't understand Jewish thinking about Israel without grasping that." Ehrenkranz, by the way, said he shares Bemporad's concern about what might come after John Paul II. "You're not going to get anybody with his sensitivity. The fear is, whatever you've got done can be undone," he said. Reacting to the "Latin American hypothesis" for the election of the next pope, Ehrenkranz said that a Latin American would likely mean a pope with less personal experience or interest in dialogue with Judaism. One exception, however, according to Ehrenkranz, would be Cardinal Jorge Mario Bergoglio, the Jesuit cardinal of Buenos Aires, Argentina. 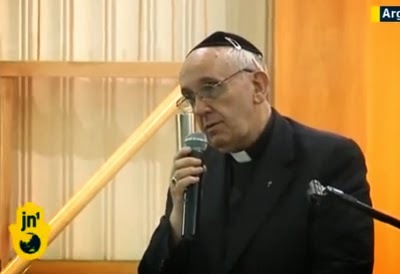 Bergoglio was an auxiliary bishop in Buenos Aires on July 18, 1994, when 86 people were killed and hundreds more injured in an explosion that destroyed a seven-story building housing the Argentine Jewish Mutual Association and the Delegation of Argentine Jewish Associations. It was one of the worst anti-Jewish attacks ever in Latin America, and Ehrenkranz said that Bergoglio was "very concerned with what happened … he's got experience." Rabbi Joseph Ehrenkranz is the rabbi emeritus at Congregation Agudath Sholom in Stamford, Connecticut, and the long-time executive director of Sacred Heart University’s Center for Christian-Jewish Understanding which he co-founded. He received his rabbinic training at Yeshiva University. 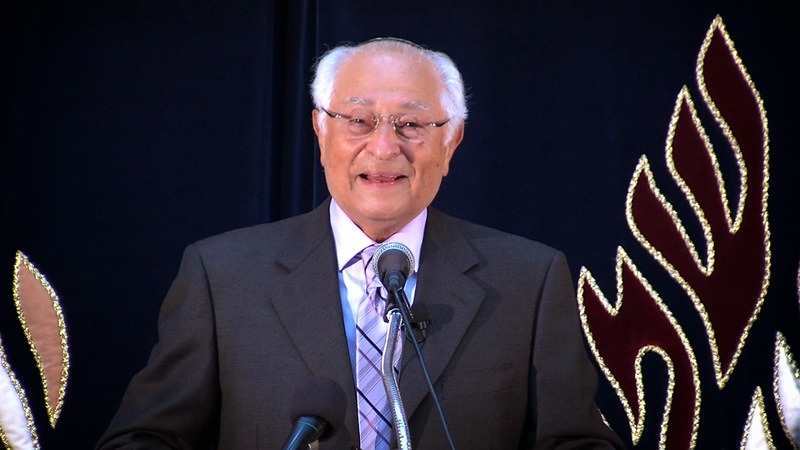 A long time initiator of inter-religious dialogues between Jews, Muslims, and Christians, in 2010 he was the winner of the prestigious Nostra Aetate Award. Currently, Rabbi Ehrenkranz is retired and living in Tel Aviv, Israel. Well, Rabbi Ehrenkrauz got his 'Pope', did Catholics get theirs? Claudio Epelman, director of the Latin American Jewish Congress, said that “I think it is the first time a pope has been elected that the Jewish community knows previously, and has a long history [with]," and that he is "very, very optismistic" about the future of relations between Jews and Catholics. Francis to meet Super Pope! **** UPDATE **** Jorge gets a doctorate or not? Jorge gets a doctorate or not? A Rocking Mess for St John Bosco!